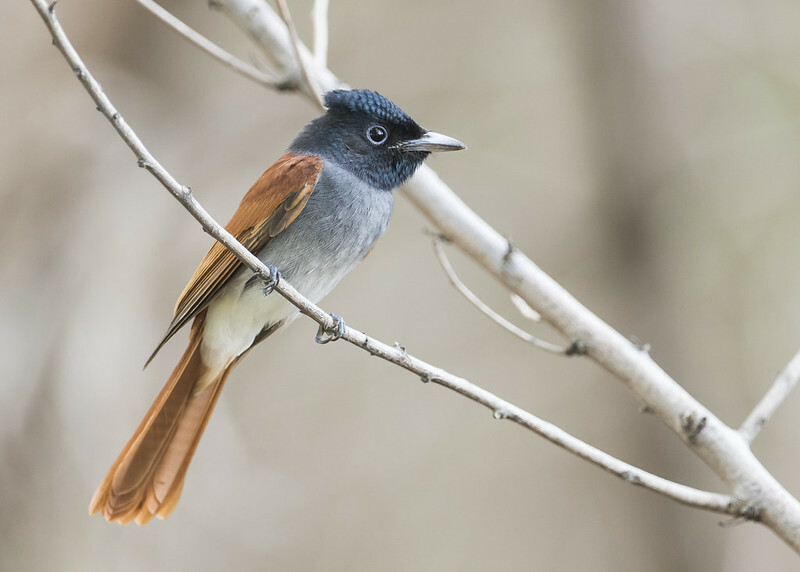 Just sharing two images of the Amur and Blyth's (also known as Oriental) Paradise Flycatcher. 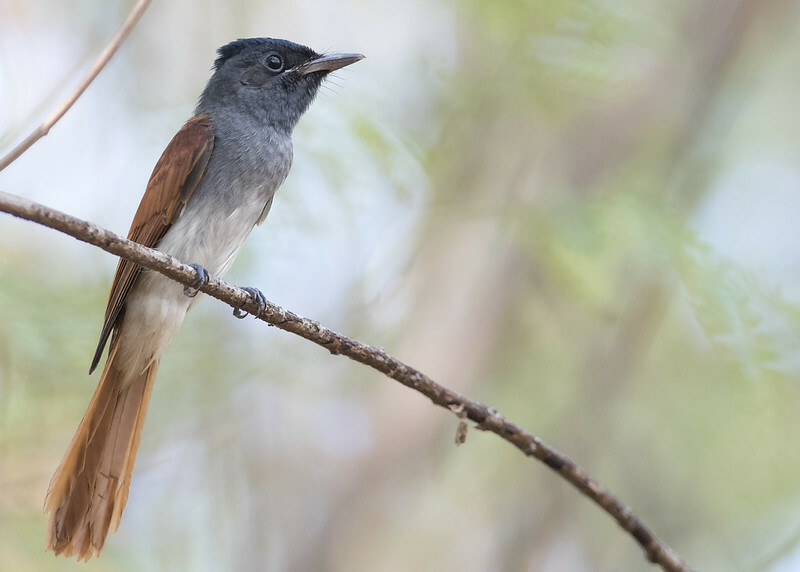 These two species were previously classified under Asian Paradise Flycatcher. You should be able to see the difference from the feature/color tone of the head and upperbreast. Amur Paradise Flycatcher (Terpsiphone incei). A monotypic species. This bird is probably a first-winter male. Blyth's Paradise Flycatcher. Also known as Oriental Paradise Flycatcher by IOC (Terpsiphone Affinis). Ssp. Indochinensis. This bird is probably a first-winter female.